A sanctuary in the city and a work in progress. 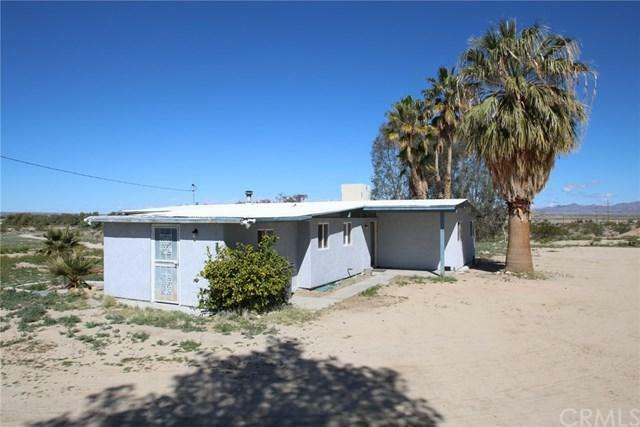 This three bedroom, one bath beauty sits on five acres of land that leads dramatically to open desert vistas and feels like a remote location far away from the rat race. 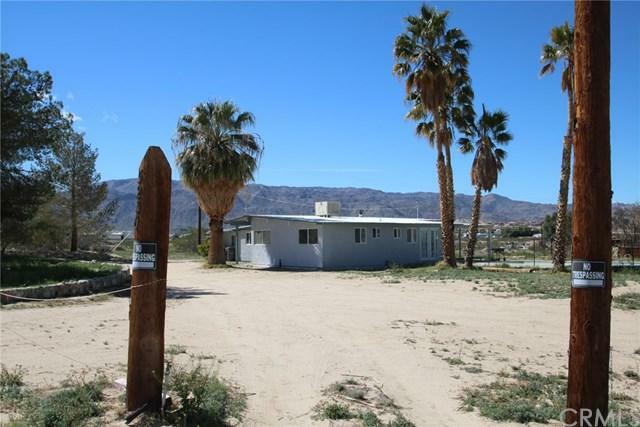 But this gem sits sweetly within 29 Palms and is five minutes to downtown shopping or the entrance to Joshua Tree National Park. The pool needs work but it could be amazing during those hot summer days. With vaulted ceilings and a beautiful open feeling, this property has had substantial upg A sanctuary in the city and a work in progress. 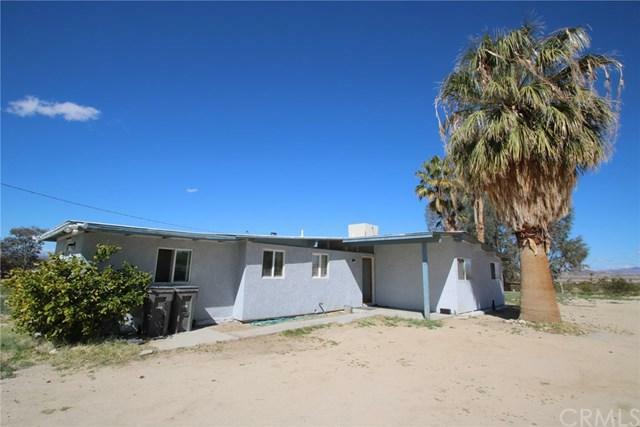 This three bedroom, one bath beauty sits on five acres of land that leads dramatically to open desert vistas and feels like a remote location far away from the rat race. 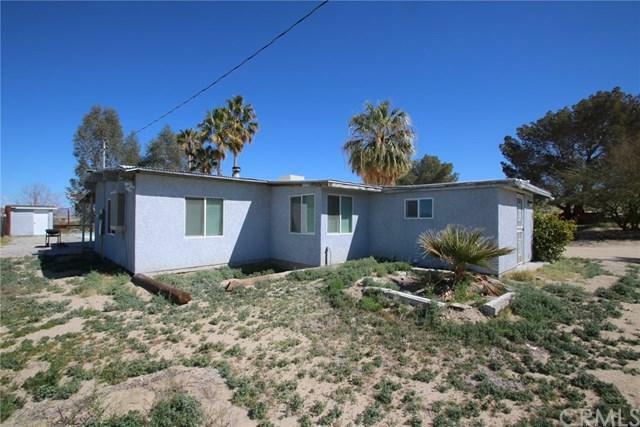 But this gem sits sweetly within 29 Palms and is five minutes to downtown shopping or the entrance to Joshua Tree National Park. The pool needs work but it could be amazing during those hot summer days. With vaulted ceilings and a beautiful open feeling, this property has had substantial upgrades in recent past and just needs a new owner to take it over the finish line. This home has a well with a filtration system. No water bill so you can landscape to your heart's content. No city water connection. The house runs on electricity, with mostly new, double-paned, energy efficient windows installed in 2014. 75 amp service has been brought to the pool house and 65 amp to the separate tack shed in 2016. Outlet and interior light in tack shed also. New stucco on the exterior of house and well house in 2016. New electric heater. 2nd evaporative cooler, 2016 as well as Master Cool unit on roof. Exterior door on pool house and laundry area, 2016. New bar-height counter in living room to enjoy the open space. Metal roof. Interior overhead lights. Reconditioned well 2014 (new pump, control, pressure tank). Exterior motion lights. More. Come check out this idyllic location. Listing provided courtesy of 29 Palms Realty. Listing information © 2019 San Diego MLS, Inc.